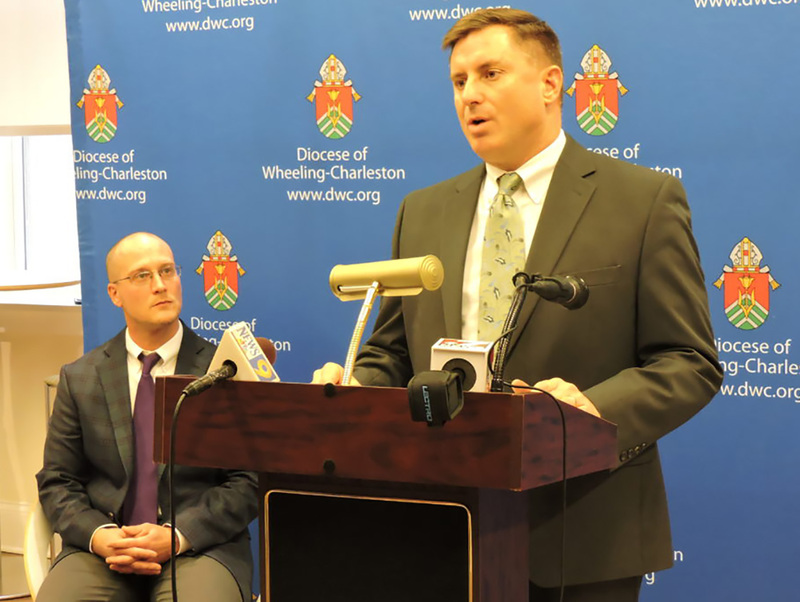 Bryan Minor, delegate for administrative affairs for the Roman Catholic Diocese of Wheeling-Charleston, speaks Thursday during a press conference with diocese spokesman Tim Bishop, seated. The diocese released the names of clergy who had credible accusations of sexual abuse. 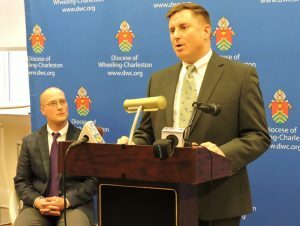 WHEELING, W.Va. — The Roman Catholic Diocese of Wheeling-Charleston released Thursday the names of 31 clergy members accused of sexual abuse through lists that include dozens of incidents dating back as far as 1950. The diocese released two lists — one of 18 priests accused while serving in the diocese and one of 13 priests who served in the diocese but were credibly accused elsewhere — with the hope that others who may have been victims will come forward. Of those 31 clergy members, 18 served in the Northern Panhandle. “Every single one was a surprise,” Bryan Minor, delegate for administrative affairs for the diocese, said of the names during a press conference Thursday.